Nine players from the Winner High School football team have been named to the Class 11B all-state team. 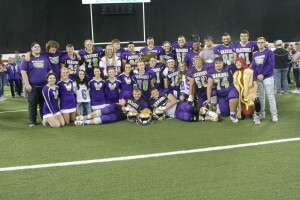 The Warriors won back to back state championships and finished with two perfect undefeated seasons for a 24-0 record. The nine players on the all state team are: Drew DeMers, Jayden Schroeder, Cameron Kuil, Jordan Turgeon, Wyatt Ewing, Isaac Naasz, Krockett Krolikowski, Chase Kingsbury and Kayleb Brozik. Ruby B. Jorgensen, 98, of Pierre, passed away at Mary House in Pierre on Dec. 3, 2016. Funeral services will be Wednesday at 10:30 am at Oahe Presbyterian Church. Burial will be at the Winner City Cemetery. Online condolences may be made at www.isburgfuneralchapels.com. Ruby was born Dec. 25, 1917 to John and Mary Ambroz at Winner SD. Ruby attended all twelve (12) years of school in Winner, graduating in 1935. After high school Ruby took a job at the local J.C. Penny store. On June 4, 1939 Ruby married Marvin Jorgensen. The wedding took place in Butte, NE. Ruby and Marvin lived in Neligh, NE, Bassett, NE and then in Winner, SD. In 1949, Ruby and Marvin moved to Gregory, SD, to work with the Rosebud Electric Cooperative. In 1969 they moved to Chamberlain, when Marvin began work with the Corp. of Engineers as an operator at the hydroelectric dams on the Missouri River. This journey took them to dams at Big Bend in Chamberlain, SD, Ft. Peck Dam in Ft. Peck, Montana and then to Oahe Dam in Pierre, SD where they made their home. It seemed that Ruby’s mission or passion was to make sure that everyone was comfortable and felt wanted. She never wanted to see anyone just sit around. One of Ruby’s pleasures was to organize birthday parties at the casino where she enjoyed the dropping of a coin or two and every once in a while hitting a payout and even maybe a jackpot, now and then. Ruby always enjoyed the socializing and meeting of friends and family when out and about. Ruby and Marvin had three sons, Robert, Rick and Jim. Robert passed away at birth, Rick (Carolyn) live in Pierre SD and Jim (Sharon) live in Des Moines, IA. Donna Zemina, 79, of Fayetteville, AR, formerly of Winner, passed away on Thursday, Nov. 24, 2016 at the Willard Walker Hospice in Fayetteville, AR. Funeral service were held on Thursday, Dec. 1, 2016 at 2 p.m. at the Mason Funeral Home in Winner. Burial followed in the Winner, City Cemetery. Donna May Zemina, age 79, passed away peacefully at the Willard Walker Hospice Home in Fayetteville, Arkansas on November 24, 2016, after an extended illness. She was born May 26, 1937, in Tripp County, South Dakota to Theodore and Edna Engel. Donna was the daughter of a Mid-Western farming family and grew up near Winner where she graduated from high school in 1955. Shortly after graduation, Donna married John Lewis Zemina on Nov. 12, 1955. They remained in Winner while John pursued work as a farmhand in the area. Donna would work for the City of Winner and the local movie theater for a time. John would eventually pursue a career with the Singer Sewing Company, and Donna became his bookkeeper over the years while occasionally working in the retail industry. Donna and John would eventually move to Fayetteville, Arkansas where they would reside together until John’s passing in 2014. In her spare time, Donna loved arts and crafts, especially sewing, knitting, and crocheting, and she had a great love of children. 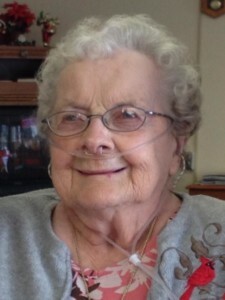 Bonnie Mae (Perdue) Arris was born June 5, 1918, in Witten, South Dakota to parents John and Katherine Perdue. She was the second of twelve children. Bonnie passed away at the Good Samaritan Society Nursing Home in Loveland, Colorado on November 26, 2016 at the age of 98 years. Bonnie married Pete Arris on October 17, 1937, in Gallup, New Mexico. After a short time in New Mexico, Bonnie and Pete traveled to South Dakota to visit Bonnie’s family. Pete helped with various projects before they traveled back to New Mexico. A year later after Pete was offered a job with Terrell’s Appliance in Winner, Bonnie and Pete moved to Winner where they bought a home and raised two sons, Robert and Monty. When Monty was in his early twenties, the Arris family lost him, a dear son and brother, to cancer. Bonnie and Pete remained steadfast in their faith and united in marriage for 71 years until Pete’s passing on June 20, 2009. Upon having sold their home and moved across town to Golden Prairie Manor in February 2009, Bonnie remained at Golden Prairie Manor until April 2012. Her son Bob then moved her to the Good Samaritan Society Nursing Home in Loveland, Colorado to be closer to him. Bonnie worked at Terrell’s Appliance (which eventually became Winner Gas and Electric). She also worked as an aide at the Winner hospital. She was strong-willed, matter-of-fact, outgoing, friendly, very caring, loving, and in turn, was deeply loved by many. Her choice of jewelry and bright clothing helped express her personality. Bonnie had a very strong faith and eagerly shared her faith in Christ with others. Bonnie (along with Pete) was a charter member of the Assembly of God Church in Winner. 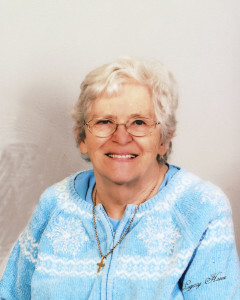 Bonnie loved her church brothers and sisters and spent many hours in the church where she was a Sunday School teacher for the young teens and active in women’s ministry groups. Bonnie, with loving open arms, welcomed adults and young people alike into the church and into her home. She was involved in the local Christian Women’s Club and traveled with friends to nearby communities to attend Women’s Aglow meetings. She enjoyed reading and sharing her favorite inspirational books with others. 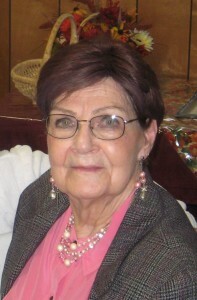 Bonnie enjoyed leading Bible study/prayer groups and was known as a spiritual mother/grandmother to many. Bonnie loved her family deeply and was thrilled when any of them would travel the distance to visit or if she and Pete could travel to their homes. Bonnie was especially thankful to have lived near her son Bob the last 4 ½ years of her life. Attorney General Marty Jackley announced the formation of a Marsy’s Law Task Force to work on the interpretation of the law and to address issues surrounding its implementation. “As Attorney General I am working to implement the new rights for victims including preparation of the Marsy’s card and upgrading our state notification system. I have formed this task force made up of key members of the criminal justice system to further assist in providing guidance for the implementation of Marsy’s law,” said Jackley. The Task Force will consist of representation from law enforcement, county officials, municipal officials, prosecuting attorneys, defense attorneys, judicial system, victim representatives and Marsy’s Law sponsors. Marsy’s Law went into effect on November 16, 2016. With the passage of the law, constitutional requirements were required to be met including victim notification cards distributed to victims via law enforcement. 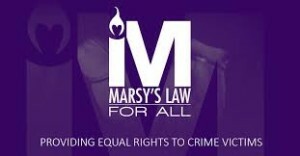 The Marsy’s Card outlines all the victims’ rights and the process to invoke them. The Attorney General’s Office is in the process of distributing 100,000 copies of the card to law enforcement statewide. The South Dakota Department of Transportation reminds the public and commercial snow removal operators that it is illegal to place or dump excess snow on highway right of way, which includes driving surfaces, shoulders and ditches.